This is a story of perseverance, survival and of the immeasurable capacity of the human spirit. 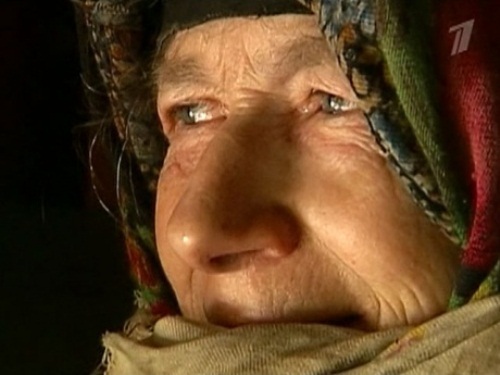 Agafia Lykova was born in Siberia, and for all of her 72 years she has lived in isolation, away from what most would call “civilization”, away from technology, away from people, away from everything. The chronicle of Agafia’s life began with her parents, Karp and Akulina, who, in 1936, fled their hometown in what is today Russia to escape the religious persecution of Stalin’s communist dictatorship. Karp Lykov had witnessed the murder of his brother by the Bolsheviks, but he and his wife were Old Believers—members of a pacifist and fundamentalist Russian Christian Orthodox sect—so retaliation or violence were not options. They left where they had lived all their lives with their two children—Savin and Natalia—to live in the Sayan Mountains of the Siberian wilderness, far away from Stalin’s authoritarian rule, six thousand feet up a mountain and 160 miles from the nearest human settlement. Their possessions when they left were the clothes on their backs, an old bible, a spinning wheel, a simple loom, two iron kettles, a few tools, some seeds, flint for making fire, needles and thread, and whatever food they could carry. Over the decades, their clothes would be patched, re-patched and re-patched again, and when their shoes no longer looked like shoes, new ones were fashioned from birch bark. And at times, the old shoes were eaten. Their home was a one-room hovel with no furniture, a single window and a makeshift fire pit. Four years later, in 1940, their son, Dmitry, was born and three years after that, Agafia, the last of the four children, was born. And it was here, in one of the remotest parts of the former Soviet Union, that Agafia, her parents, and her three siblings would spend the rest of their lives. Life in the Siberian hinterland is one of short summers and long winters, of bears and wolves and wild cats, of thick stands of emaciated pine, of craggy mountains, sculptured snow drifts, untrespassed lakes and unnamed streams. And of effortless solitude. With the rare exception of sighting a lost hunter or prospector, the Lykov family lost almost all contact with the outside world. On one occasion, however, their hermetic life was briefly interrupted. This is where the Lykov family had lived for most of their lives. The geologists did in fact meet with Karp and his family. Over the years, they befriended them, and the Lykovs eventually welcomed their friendship. The strangers offered the Lykovs simple gifts, but the only gift that Karp accepted initially was the simplest of all – salt. In time, however, gifts of knives, grain, clothes and a battery-operated flashlight were offered and gratefully taken. Karp decided to stay where he had lived for 42 years, but the world would probably never have known about him if not for the helicopter pilot who accidentally came across the ramshackle hut that had been the family’s home for more than four decades. They had lived in a sealed time capsule, unaware that man had landed on the moon, unravelled the mysteries of DNA or split the atom. They had never seen a television, used electricity, rode in a car or seen a plane. They weren’t even aware that World War II had come and gone. 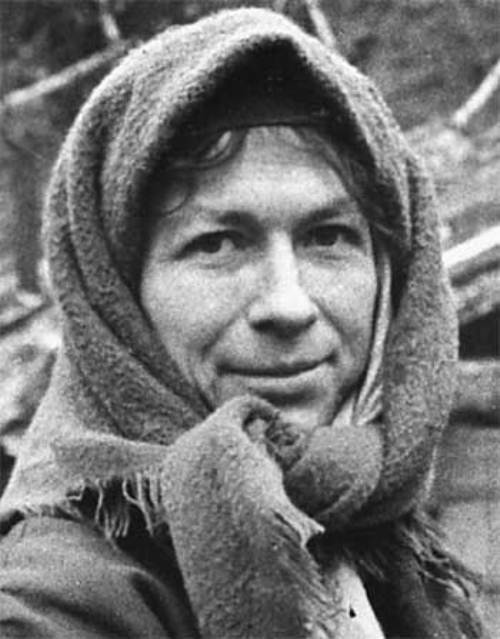 The Moscow writer and journalist Vasily Peskov heard of the helicopter pilot’s report, and in 1982, he visited the Lykov family in Siberia’s wasteland with the hope of writing their story, and with the help of photojournalist Igor Shpilenok, he did eventually bring the biography of Agafia and her family to the world. At the time of Vasily’s first visit, Karp was 81 years old, and Agafia was 37. The first 25 years for Karp and his family were a constant struggle for survival, but 1961 was a particularly harsh year. It was still snowing in June. Potatoes, pine nuts, carrots, rye grain, wild mushrooms, wild berries and the occasional animal that Dmitry would hunt and kill were the typical fare that the family survived on. But their small garden failed that year, and most of the meagre crops that sustained them were destroyed. The family somehow survived on potatoes, roots, tree bark and leaves, but Agafia’s mother, Akulina, rather than see her children go hungry, chose starvation. She died that same year, and her three oldest children—Savin, Natalia and Dmitry—all died in 1981. Dmitry was the last to die that year, and despite the geologists’ efforts to have him flown to a hospital for treatment, he steadfastly refused to leave his remaining family members. And in 1988, Karp Lykov died in his sleep, 27 years to the day since his wife had died; Agafia buried him on the mountain slope that had been his home for more than half a century. By this time, Vasily had known Agafia for six years and he had been successful in gradually forming a lasting friendship with Karp and his youngest daughter, bringing them practical gifts like chickens, goats and new shoes. And Vasily’s generosity was repaid with the gifts of potatoes and pine nuts. Agafia Lykova still lives in isolation in the Siberian wilderness, where she has a new cabin and looks after her goats, chickens and her dog, Taiga. A few good people are keeping an eye on her, from a distance, and she gets a few visitors every year who bring her some basic supplies like boots, socks, flour and dried fruit. She was recently hospitalized with undisclosed leg pain—her second time away from her home in the wilderness—but she’ll be returning home as soon as she’s discharged. Agafia chose her solitary and sovereign life in the inhospitable mountains of Siberia to maintain her sense of dignity and her freedom. Could it be that she has it figured out what it means to be truly free, and some of us have had it wrong all along? You can see a short video of Agafia’s story here, and a longer one here, but you might want to keep a box of tissues handy. This photograph of Agafia Lykova as a younger woman was taken by the team of geologists who met her nearly 40 years ago. 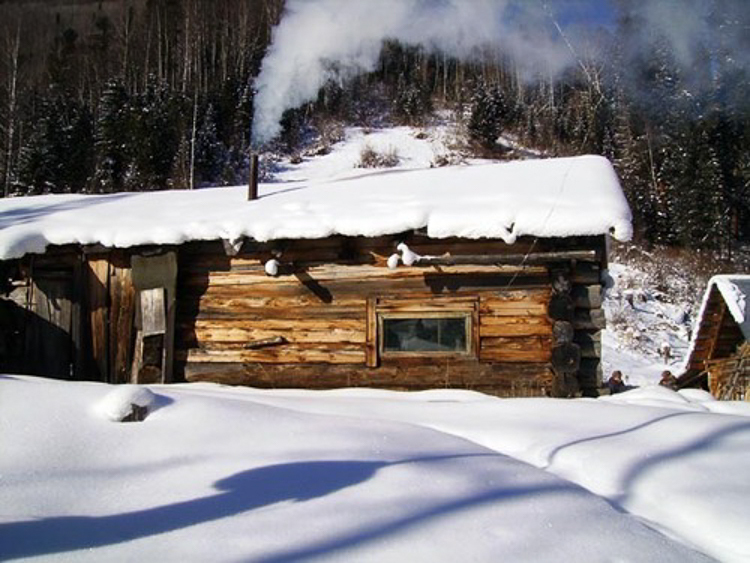 Agafia Lykova still lives in Siberia’s no-man’s land, in this newly-built cabin…still alone. And she is the last survivor.